Corporate Governance in NIBE Industrier AB is performed by the Annual General Meeting, the Board of Directors and the Managing Director/CEO in accordance with the Swedish Companies Act. Financing, currency management, takeovers, start-ups, financial control, human resources and other policy issues are dealt with at Group level. 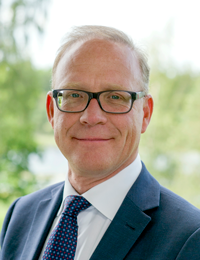 The parent company NIBE Industrier AB (with its registered office in Markaryd, Sweden) has been listed on the Stockholm Stock Exchange since 1997. 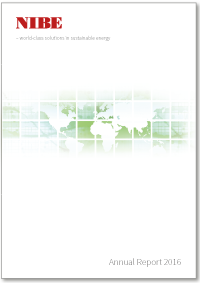 NIBE currently has operations in Europe, North America, Australia and Asia. The General Meeting is, according to the Companies Act, the highest governing body of a corporation. The General Meeting makes the overall decisions about the company as among other things, such as changes in the articles of association, and appoints the board of directors and auditor. 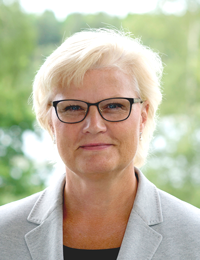 NIBE Industrier AB’s Annual General Meeting will take place on Thuesday 14 May 2019 at 5.00 p.m., Sparbankshallen, Ola Mårtens väg 8, Markaryd. Proposals have to be received by the company no later than Thuesday 26 March 2019, in order for the company to have sufficient time to include them in the notice and the agenda of the Annual General Meeting. NIBE Industrier AB’s Annual General Meeting will take place on 16 May 2018 at 5.00 p.m. at the company’s premises, Järnvägsgatan 34, in Markaryd. Annual General Meeting of shareholders of NIBE Industrier AB (publ), 11 May 2017 at 5.00 p.m. at the company’s premises, NIBE in Markaryd. Extraordinary General Meeting of the shareholders of NIBE Industrier AB (publ) on 3 October 2016. Annual General Meeting of shareholders of NIBE Industrier AB (publ), 12 May 2016. Annual General Meeting of shareholders of NIBE Industrier AB (publ), 11 May 2015. Chairman of the Board since 2015. Chairman of the Board of HP Tronic AB. 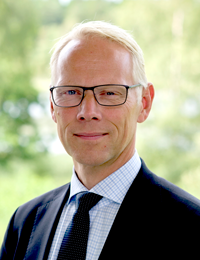 Director of Zinkteknik AB, Plastinject AB, Nordiska Plast AB, LWW Group AB and Eolusvind AB. 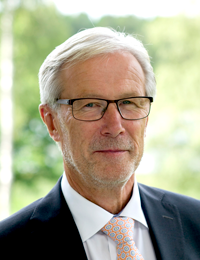 Chairman of the Board of HEXPOL AB and INWIDO AB. Director of Melker Schörling AB and Becker Industrial Coatings Holding AB. M.Sc. in Business & Economics. Employed by NIBE since 1988. 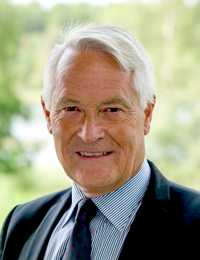 Chairman of the Board of GARO AB and Lammhults Design Group AB. 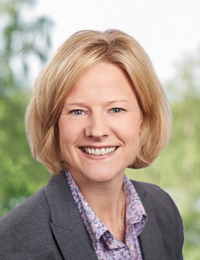 Director of Trioplast AB. Sales and Marketing Director, Cooper Roller Bearings Co. Ltd, a company in the SKF Group. Director of Hanza Holdning. M.Sc. in Engineering and MBA. CEO Westermo Teleindustri AB and Director of Nolato AB. MD of NIBE Industrier AB and NIBE AB. M.Sc. in Engineering and M.Sc. in Business & Economics. Financial Director, NIBE Industrier AB. Employed by NIBE since 2011. MD for Backer BHV AB. Employed by NIBE since 1992. Employed by NIBE since 2016. Engineer. Employed by NIBE since 1987. 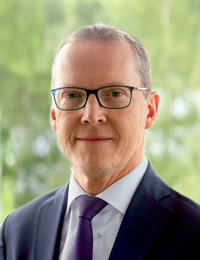 KPMG AB with Dan Kjellqvist as auditor-elected for a term of one year at the 2018 AGM. Audit Director has regular access to company's adjusted board meetings and the monthly reports that the board receives. The company's senior auditor reports the findings from the audit and the auditor’s assessment of the Company's internal controls to the Board with all board members present. In the event that the contents of the Swedish and English version of these articles of association should be found to diverge, the Swedish version shall prevail. The name of the company is NIBE Industrier AB. The company is public (publ). The board of directors shall have its registered office in Markaryd. The object of the company is to own and administer shares and to carry out management and administrative activities for the company’s subsidiaries as well as to pursue other activi­ties compatible with these operations. The share capital shall amount to no less than forty million (62,500,000) SEK and no more than eighty million (125,000,000) SEK. The number of shares shall amount to no less than sixty four million (400,000,000) and no more than one hundred and twenty eight million (800,000,000). Two classes of shares may be issued, class A and class B. Class A-shares may be issued to such a number that they represent no more than thirty (30) percent of the num­ber of shares that may be issued in the company and class B-shares may be issued to such a number that they represent no more than one hundred (100) percent of the num­ber of shares that may be issued in the company. Class A-share conveys ten (10) votes and class B-share one (1) vote. In the event of an increase of the share capital by means of a cash issue or a set-off issue the following shall apply: an existing share shall entitle the holder of such share the preferential right to a new share of the same class, shares that are not subscribed by the shareholders with primary entitle­ment shall be offered to all shareholders; and, if the total number of shares subscribed for on the basis of the last-mentioned offer cannot be issued, the shares shall be divided be­tween the subscribers in proportion to the number of shares that they own prior to the issue, and, to the extent that this cannot be done, by means of drawing lots. If the company decides, by means of a cash issue or a set-off issue, to issue warrants or convertibles, the shareholders have preferential right to subscribe for warrants as if the issue concerned shares which may be subscribed for due to the right of option, and preferen­tial right to subscribe for convertibles as if the issue concerned shares which the convertibles may be exchanged for. What has been stated above shall not constitute any restriction on the possibility to de­cide on cash issue or set-off issue with deviation from the shareholders’ preferential right. In the event of a bonus issue, new shares of each class shall be issued in proportion to the number of previously existing shares of the same class. In the event of an increase of the share capital through a bonus issue, the shareholders have preferential right to the new shares in propor­tion to the number of shares which they own prior to the issue; in this situation, hold­er of A-shares has the right to new A-shares and holder of B-shares has the right to new B-shares. What has been stated now shall not constitute any restriction on the possibility to issue shares of a new class, through a bonus issue, subsequent to necessary amendments of the articles of association. Holder of an A-share shall have the right to demand that such share shall be converted to a B-share. A statement to that effect shall be made in writing to the company’s board of directors. The statement shall specify the number of shares for which conversion is required. The company’s board of directors is obliged, without delay, to deal with re­quests to convert A-shares to B-shares. Such conversion shall be reported for registra­tion without delay and is implemented at the time of registration. The board of directors shall, in addition to those members who can legally be appointed by somebody other than a general meeting of shareholders, consist of no less than five (5) and no more than seven (7) board members with no more than five deputy board members. The company shall have no less than one (1) and no more than two (2) auditors with no more than two (2) deputy auditors. It is possible to appoint as auditors no less than one (1) and no more than two (2) regis­tered public accounting firms. Notice of a general meeting shall be made through the placement of an advertisement in Post och Inrikes Tidningar and on the company’s web site. It shall be advertised in Svenska Dagbladet that notice has been made. Notice of an annual general meeting and notice of an extraordinary general meeting, at which changes to the articles of association will be dealt with, shall be made at the earliest six (6) weeks and at the latest four (4) weeks prior to the general meet­ing. Notice of other extraordinary general meeting shall be made at the earliest six (6) weeks and at the latest three (3) weeks before such meeting. A shareholder wishing to participate in a general meeting shall on one hand be listed in the printout or other presentation of the full share register concerning the conditions five weekdays before the meeting, on the other notify the company at the latest by 4.00 p.m. on the day stipulated in the notice of the meeting. Last-men­tioned day must not be a Sunday, other public holiday, Saturday, Midsummer Eve, Christ­mas Eve or New Year’s Eve and must not occur any earlier than the fifth week­day prior to the meeting. Advisor of a shareholder may only accompany the share­holder if the shareholder informs the company in the abovementioned way and states the number of advisors, one or two, who will participate in the general meeting. General meetings shall be held in Markaryd. Annual general meeting shall be held before the end of June. The chairman of the board or a person nominated by the board shall open and lead the general meeting until a chairman has been elected. The following matters shall be dealt with at the annual general meeting. 1. Election of chairman at the meeting. 2. Preparation and approval of a voting list. 5. Examination if the meeting has been properly convened. 6. Presentation of the annual report and the auditor’s report and, where appropriate, the group financial statement and the group auditor’s report. c) discharge from liability of the board members and the managing director. 8. Determination of the number of board members, deputy board members and, where appropri­ate, the number of auditors and deputy auditors or registered public accounting firms. 9. Determination of fees to the board of directors and the auditors. 10. Election of board members, deputy board members and chairman of the board and, where appropri­ate, auditors and deputy auditors or registered public accounting firms. 11. Other matters to be dealt with at the meeting pursuant to the Swedish Companies Act (2005:551) or the articles of association. If a share of class A (“A-share”) is transferred from one shareholder to another share­holder in the company, or to someone who is not previously a shareholder in the com­pany (the acquirer), the A-share shall immediately be offered by the acquirer for purchase pursuant to post-sale purchase rights to the other holders of A-shares by submission of a written notification to the company’s board of direc­tors. The acquisition of the A-share shall then be verified. In this paragraph, the trans­fer of shares also includes transfer by means of inheritance, a will, gift, division of ma­rital property or other acquisition pursuant to family law. Upon notification of the transfer of an A-share, the board of directors shall immediately in writing notify each post-sale purchase right holder, which postal address is noted in the share register or otherwise known to the company, thus requesting the post-sale purchase right holder wanting to make use of its purchase right, to submit to the company a written demand to purchase within two (2) months of the notification to the board of directors of the transfer of the A-share. A post-sale purchase right may not be exer­cised for a smaller number of shares than the number of shares included in the offer. In the event that more than one post-sale purchase right holder submit to the com­pany a demand to purchase, the right of priority amongst such post-sale purchase right holders shall be determined by the drawing of lots, carried out by Notary Pub­lic, yet, if at the same time, several A-shares have been offered for purchase pursuant to post-sale purchase rights, the A-shares shall first, as far as possible, be distributed in proportion to previous holding of A-shares amongst the post-sale purchase right holders requesting demand to purchase. The purchase sum per A-share shall amount to a tenth part (1/10) of the share’s quota value. The purchase sum shall be paid within one (1) month from the point in time when the purchase sum was determined. No other conditions shall apply for the purchase. If, within the stipulated time period, no post-sale purchase right holder submits a demand to purchase, or effects payment of the purchase sum within the stipulated time, the acquirer shall be entitled to be regis­tered as owner of the A-share. If the acquirer and the post-sale purchase right holder requesting demand to purchase do not agree on the issue of the purchase, the post-sale purchase right holder requesting demand to purchase may initiate proceedings within two months from the day when the demand to purchase was submitted to the company. 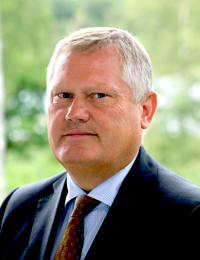 In the event of a dispute on the issue of the purchase between the acquirer and the post-sale purchase right holder requesting demand to purchase, such a dispute shall be resolved through arbitration in accor­dance with the Swedish Arbitration Act in force at the time the dispute is referred to arbitration. According to chapter 4 section 29 of the Swedish Companies Act (2005:551) an obligation to offer the shares for purchase pursuant to post-sale purchase rights as set out above arises for a decedent’s estate if the shares are not transferred to a new owner within one year from the date of death. These articles of association have been taken at the Extraordinary General Meeting on October 3, 2016. NIBE supports the transition to a more sustainable society by producing energy efficient products and parts that help our customers decrease their climate impact by lowering energy use and increasing the use of renewable fuels. We are committed to constantly improving the environmental performance of our products by innovative design and investments in new technology. We create value by developing innovative, cost-effective solutions that meet the highest standards of energy and resource efficiency. We purchase from suppliers who share our values, business ethics and high ambitions in connection to sustainable development. In the production step, our skills and resources converge into high quality products for a conscious market in a responsible way. We work to transport our goods and employees in a way which shows the most consideration for people and the planet. NIBE’s products create value for our customers during many, many years by lowering energy use. Good both for economy and environment! Recycling is part of our product liability. It utilizes the value of materials in our used products saves resources and minimizes waste. It is the responsibility of the highest governance body of NIBE to embed sustainability into the core of our business by formulating mission, vision and strategy that clearly states what we want to achieve. been extracted and highlighted in our Sustainability Strategy, which in turn is the basis for our sustainability targets and action plans within NIBE. The responsibility for carrying out action plans and reaching targets lies within each business area, where the Business Area Manager is responsible and reports to the CEO. To their support they have the central Sustainability Team, managed by the Chief Sustainability Officer who is reporting to CEO, local coordinators and the Sustainability Council. 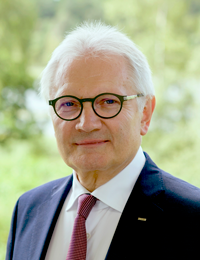 As an additional support and an important way of communicating sustainability issues internally, NIBE has a Sustainability Council, led by the CEO that meets 2-3 times a year to discuss decisions, focus areas, changes in the global scene, risks and opportunities, and to follow up on performance. The Sustainability Council consists of the CEO, CFO, Chief Sustainability Officer, Sustainability Controller and the Business Area Managers. 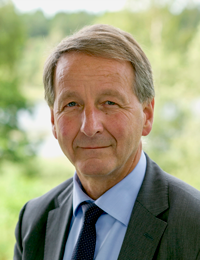 Moreover, the Chief Sustainability Officer takes part in the yearly strategy meeting together with Group management and the Board of Directors. Business Area Managers are responsible within their units, for following the strategy set out by the Board of Directors. Ultimately, however, it is the highest governance body that is accountable for the sustainability performance. To make sure we follow legislation and work in an effective way, NIBE has managements systems in place for risk management, quality, environment and occupational health and safety. There is also a system in place to evaluate suppliers from a sustainability perspective. NIBE is a signee of UN Global Compact since 2014. We are committed to following the 10 principles and to promote these principles within our sphere of influence. Our core values are expressed in eight fundamental building blocks that guide our decisions and business behaviour in all situations. We expect our Suppliers to embrace the same set of internationally accepted principles and apply them in all their business conduct. We expect reliable and honest co-operation based on mutual trust and respect. Suppliers must follow legislation and internationally agreed principles as expressed in for example UN Global Compacts 10 principles and the ETI Base Code. We expect that promises are kept and that problems are discussed with a solution oriented, open mind. We expect our suppliers to give us feedback that can help us to develop to a better customer. 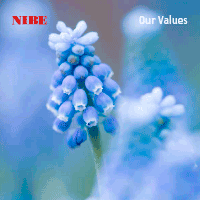 NIBE is built on deeply rooted values and business principles that reflect high moral standards and business ethics. All our employees must be familiar with our Values, Our Business Principles and Our Working Methods, which are summarized in three brochures and available in 14 languages. 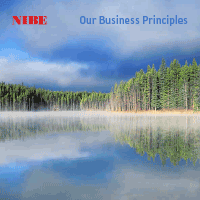 These brochures form a framework for all our business behavior and applies equally to all NIBE employees wherever they are in the world. Compliance towards our policies is regularly checked by conducting internal audits. We also have grievance mechanisms and a whistle blower function in order to get instant feedback if something is not working the way it should. The quality and environmental management is structured according to the standards ISO 9001 and ISO 14001. Today is 98% of our companies certified, and our target is that all sites shall be certified by the end of 2016. In the future, if newly acquired sites are not certified, we will allow two years to develop a certified management system at the site. We assess our risks systematically and take proactive approach concerning trends and potential changes in pricing, legislation or the market. Internal operational risks are controlled by management systems and control procedures. A new Risk Management system was launched in 2015 which will increase the accuracy and overview of our analyses and actions. Local companies around the globe are responsible for assessing and monitoring their sustainability risks. Risk assessment including aspects like changing legal demands, changes in customer requirements, climate change, and access to raw materials, as well as environmental impact, and health and safety are carried out on a regular basis. 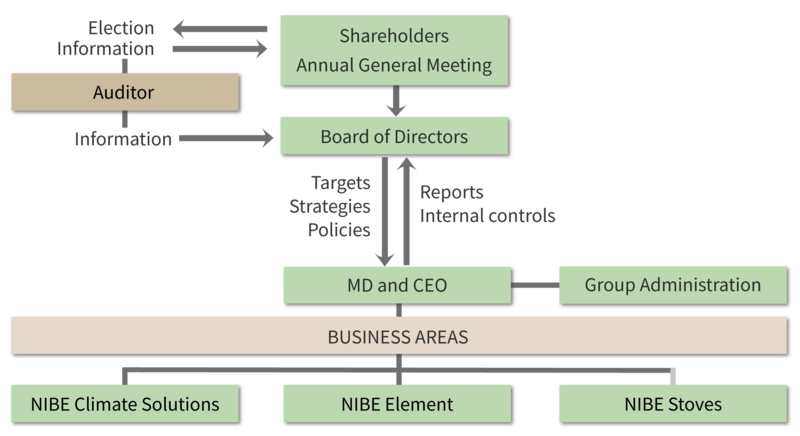 Local boards are responsible for reporting identified risks and action plans to Business Area Managers, and in some cases to NIBE’s board. NIBE’s sustainability team visits the local production companies at least every third year in order to check compliance and make sure that NIBE’s values and business principles are adhered to. Starting in 2016, we have integrated the Sustainability report in the Annual Report. NIBE's report is not official. NIBE wants to support global work for efficient businesses and high business ethics. We are a signatory to UN Global Compact, international principles for responsible businesses. Link to UN Global Compact www.unglobalcompact.org .